Happy Monday friends!! Whew, another super fun filled weekend has come and gone, but before I recap the weekend, let's take a look at our week - it was another good one!! 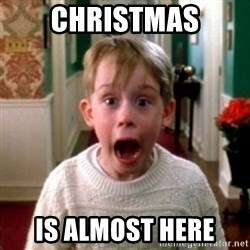 Sidenote: I cannot believe it's only 2 more weeks until Chrristmas!!! Monday we were able to go on a walk and play at the park for a while - just in time because the next day the temps dropped super low! We took the L into the city and it was so seamless! We went and put our name down for the Walnut Room (they don't take reservations) and while we were waiting for a table, we went down and saw Santa! Peeking through the glass window at Santa!! 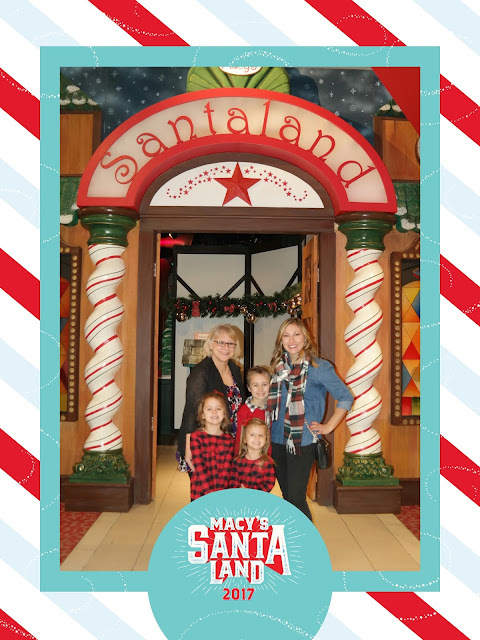 After eating, we wrote our letters to Santa (in case he forgot what we had just told him) then shopped a little at their holiday lane. I wanted every ornament I saw! Friday night we headed out to look at Christmas lights! Of course we had hot chocolate to go with! The hubs headed out Saturday night with friends and after I put the kids to bed, I enjoyed wine & Hallmark movies while wrapping presents. Sunday we went by BIL & SIL's for my niece's birthday. Ella was having so much fun playing with her cousin - isn't he the cutest!?!?! We headed home and relaxed the rest of the night. Today me and Miss A have LOTS of errands to run and things to do while Ella is at school, here's to hoping I can finish everything in 3 hours! Wow that Santa visit looks like a fun experience! 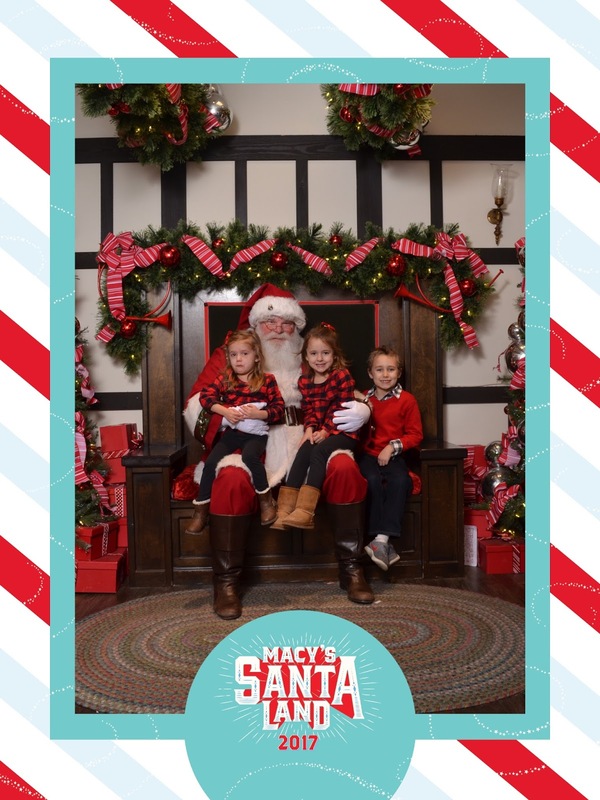 Avery's little frownie face with Santa is the CUTEST! At least she didn't full-on melt down like they always do. Haha. SO much holiday fun. I want to come spend the week with you guys. I adore that you let her paint your face friend. that was such a sweet thing to do. So many fun Christmas events! Love all your sweet pictures. Your painted cheek...too cute! And I truly can't believe there's less than 2 weeks to go! I just started shopping yesterday!